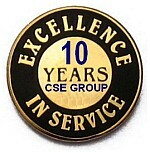 If you would like to join the CSE Group and Register to Attend this meeting use this URL: http://www.meetup.com/ColoSpgsBiz/ Thanks! Volta, a local Colorado Springs-based software development client of Ensemble Ventures we have been working with in our "Venture Ventilator" has utilized its groundbreaking Media Management Platform called "VoltaMMP", to enable the fast-track development and deployment of Simian 2.0. The eagerly anticipated update and refresh to Volta's innovative Simian 1.0 Video Collaboration and Advanced Workflow Solution for the Video Production and Creative Communities. Great job to Jay Brooks and his Partner Brian Atton in California, and the entire Volta team as they have reached a significant milestone in the development of their company and this unique software platform. Hopefully we will have Jay drop by the CSE Group soon and share some of his experiences with the CSE Group members ! 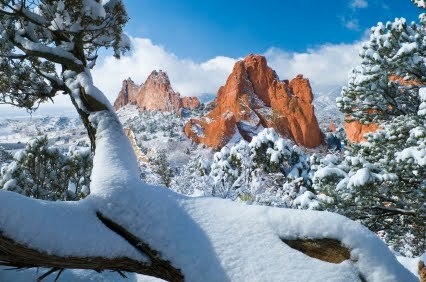 The Colorado Springs Entreprenurs Group Meetup for January was Cancelled. See us in February 2011 ! December 17, 2010 - The Colorado Springs Entrepreneurs Group today announces a new Entrepreneurial Training Program Alliance with The Business Startup Institute of Colorado Springs to provide access to an online, entrepreneurial video training course company that has been recently created by Jim Holley, an experienced local entrepreneur with courses developed and delivered by Dr. Thomas Duening, The El Pomar Chair of Entrepreneurship and Innovation and Professor at The College of Business at UCCS. Together they are delivering a dynamic, on-demand 21-part video training program that gives you a head start on your new business. Jim Holly, the Founder and CEO of The Business Startup Institute will be our Guest Speaker this month at our December Meetup and Holiday Mixer where Jim will be introducing the Business Startup Institute to the CSE Group. We will also be introducing the CSE Group's Affilate Program Relationship with The Business Startup Institute where the Colorado Springs Entrepreneurs Group can access these innovative business training courses at a 25% discount off the already affordable rates. An additional 25% will automatically be allocated to a Colorado Springs charity of our choice. For More information on the Business Startup Institute go to http://www.BusinessStartUpInstitute.com and use the coupon code CSEG25 at checkout. Even though the CSE Group is "Taking Care of Local Colorado Springs Businesses", it's still the Holidays ! So time to celebrate our achievements and initiatives this year. Even though our meetup is in the last week of the year, (and we may have a number of CSE Group Members traveling for the holidays), we still would like to close out the year with a Meetup and Holiday Mixer. Hope you can join us. We Promise... The Program will be 60 Minutes, and the Party will be 2 hours ! - We will start out with the food and refreshments so they don't get cold ! -- Would like to Extend an Invitation to all our CSE Group Members who would like to bring a Holiday Dish for our Getting in the Mood segment which will be extended to an hour, and then be re-started for a second hour after a brief 30-minute program. ... so you can volunteer to bring a main course, a dessert, sodas, specialty holiday treats, etc. Hopefully our "Organized" CSE Group Members will coordinate together to create a major spread of food and refreshments ! You can BUILD IT Yourself of BUY IT Commercially... Just as long as it's hot and fresh ! Jim will provide an overview of his unique "entrepreneurial journey" – inventing and distributing consumer products to mass audiences, through unique business relationships and alliances, and will provide a unique insight into how to adapt and change course in your career as you move from the corporate world to an entrepreneurial lifestyle. Jim will also be introducing their new online training program to help entrepreneurs succeed the first time – The Business Startup Institute. Formal Meeting Ends (7:30PM) - Holiday Mixer Re-Starts ! 4. Introduction of CoffeeCrew "Mini-Meetup" Program - Opportunity for Local Weekly Meetups of CSE Group members and other small business people/networks to grow and expand the "DNA" of the CSE Group in our local market. Program Introduction, Overview and Participation Info. Mr. Jeff Pederson is the President/CEO of JPED Consulting, LLC. Three decades of experience working with clients across a variety of markets including publishing, retailing, manufacturing, service groups and non-profits, has taught Mr. Pederson that the successful marketing of any idea takes a cohesive approach. Fusing strategic thinking, innovative creative and proven practices together with new, emerging technologies, integrated-interactive media and comprehensive program management, provides solutions for our clients that result in higher brand performance, deeper trust and a stronger position in the marketplace. Jeff will touch on some of the solutions he offers his clients in his consulting practice, (JPED Consulting - http://www.jpedconsul...) where he helps companies identify their best practices, while guiding them in developing their overall go to market strategy. Jeff will cover tips and techniques that he has used to help these organizations to differentiate themselves, improve their internal operations, and to grow their brand awareness, sales revenues and profitability. JAK, along with a few others local business people have taken the CSE Group's "Entrepreneurial NEMOSystem" initiative to heart and is moving forward with an intent and goal to "... drive innovation and encourage entrepreneurship in our community ...". There vision is to have open meetings around town (as we suggested in our last CSE Group MeetUp which has become the "CoffeeCrew" "Mini-Meetup" Program ), and call them "Creative Cafe Meetings". These will not be "networking" meetings (though some networking is unavoidable), but rather "roll up your sleeves" brainstorming to generate new and innovative ideas to rebuild the local economy as well as impact the overall economy of Colorado, our nation, and perhaps the world. JAK , and his group of business SME's (Subject Matter Experts) will be presenting their vision for the Creative Cafe Program and encourage participation by CSE Group members. Launch of CSE Group CoffeeCrew Program ! Last month in our First "Focus Forum" meeting we "launched" the idea for a "live" social networking activity that born out of one of the recommendations that one of our CSE Group members, Charles Mason suggested, that we might be able to put together weekly meetings with smaller groups to cover specific topics and discussion areas... So, in response, Charles and I met a couple of weeks ago, discussed the program dynamics and logistics, and I've come-up with a catchy name for the new social networking activity, "CoffeeCrew". And we have a new logo too ! (See our logo at right). It's the CSE Groups answer to extending the "DNA" of the CSE Group into more local groups in the community, (by enabling more than just a single monthly meeting). Our goal is to create a culture of "Coffee, Commerce, and Conversation" about innovation, entrepreneurship, and to create more frequent opportunities for business networking, lead generation, and tapping into a rich base of advisors and mentors in the community to help you better run your business. We know you don't want to wait 30-days for another Monthly CSE Group Meetup Meeting to access those "roll-up your sleeves solutions" to day to day small business challenges, or to tap into "out of the box thinking" for your next product or service PR campaign that only comes from extreme networking and communications with fellow CSE Group members. 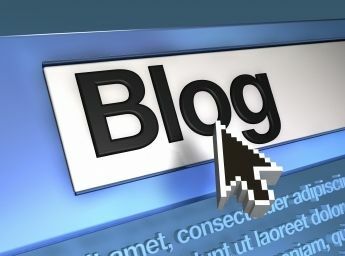 Charles has agreed to start the program off, by supporting and coordinating the first two CSE Group CoffeeCrew "mini-meetups" and moderate the online support Forums back on the ColoSpgsBiz.org web site. We have also set-up a special menu item on the ColoSpgsBiz.ORG site called "CoffeeCrew" that will highlight the specific CoffeeCrew Mini-Meetup Info-pages, support individual custom blogs for each CoffeeCrew, and enable quick event calendar management to allow CoffeeCrew Coordinators to define specific calendar dates for their meetings, all from the front-end of the web-site using a special login credential and authorization. Each CoffeeCrew Coordinator will also be able to manage their own Forum as moderator. Charles Mason will be focusing on his two topic areas of interest, (1) Startup Advisor and (2) Invention Paradise. As new CSE Group members surface with CoffeeCrew mini-meetup ideas of their own, we can try them out and integrate their results, discussion findings, outcomes, etc., back to the Forum on the .ORG website for the rest of the CSE Group to benefit from. CIO Colorado has been launched as a citizens’ task force to fill the need for an office of innovation within the State of Colorado – Chief Innovation Office. It will support economic development reform with the goal of turning around the State of Colorado’s economy leading to the formation of new business and creation of new jobs. As many of you know, DaVinci Quest in Denver is developing the CIO Colorado Economic Reform Initiative and I am pleased to be working with the DQ Team Members to help put this citizen-led grass roots effort on the map.